7 Jun. - 9 Jun. 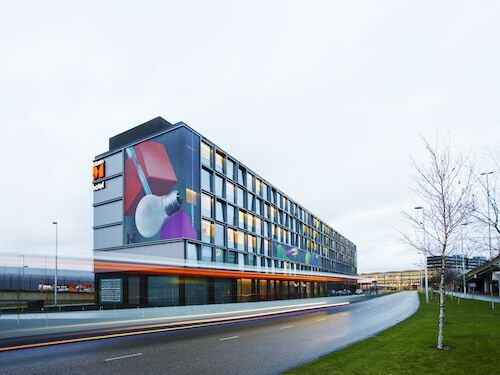 Situated near the airport, this hotel is 0.4 mi (0.6 km) from Rijksmuseum Amsterdam Schiphol and within 9 mi (15 km) of RAI Exhibition and Congress Centre and Van Gogh Museum. Anne Frank House and Albert Cuyp Market are also within 12 mi (20 km). Schiphol Airport Station is 6 minutes by foot. 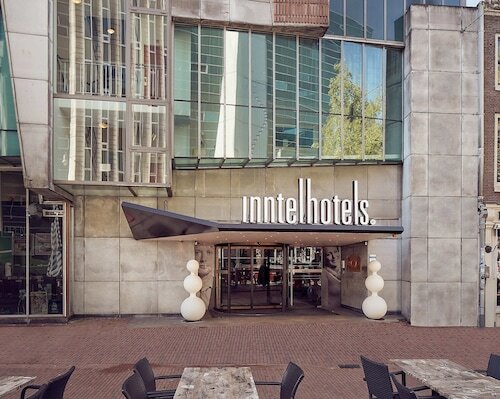 Situated near the airport, this hotel is within 6 mi (10 km) of World Trade Center Schiphol Airport, Rijksmuseum Amsterdam Schiphol, and Sloterpark and Sloterplas. 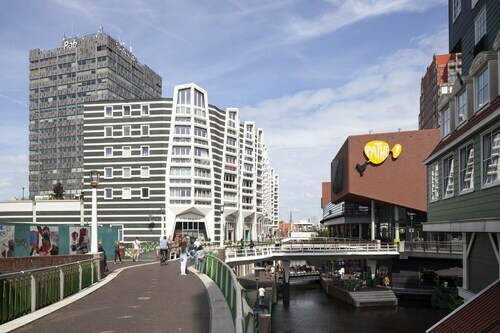 De Meervaart Theater and VU University Medical Center are also within 6 mi (10 km). 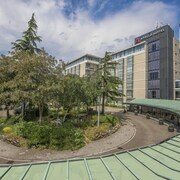 Situated in Badhoevedorp, this golf hotel is 2.6 mi (4.2 km) from Amsterdamse Bos and within 9 mi (15 km) of World Trade Center Schiphol Airport and Olympic Stadium. RAI Exhibition and Congress Centre and Van Gogh Museum are also within 9 mi (15 km). 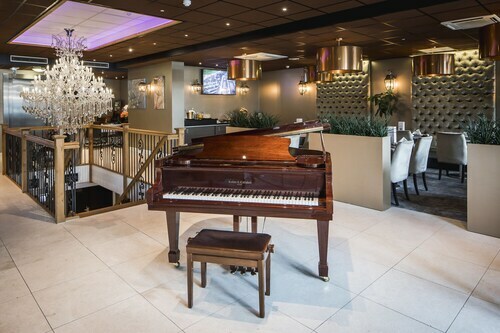 Set in a residential area of central Amsterdam, this modern hotel is 100 meters from a shopping mall with ATM, grocery store, and pharmacy, and 4 kilometers from the city center. 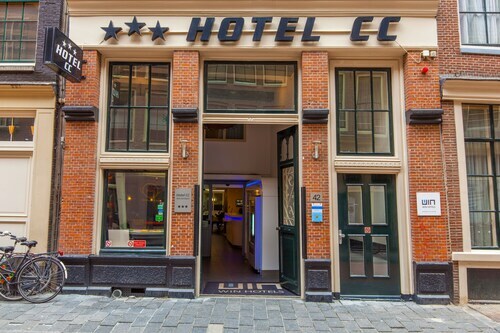 Located in Amsterdam City Centre, this hotel is within a 15-minute walk of Herengracht Canal, Dam Square, and Anne Frank House. Royal Palace and Madame Tussauds are also within 15 minutes. Amsterdam Central Station is 8 minutes by foot and Amsterdam Central Metro Station is 11 minutes. 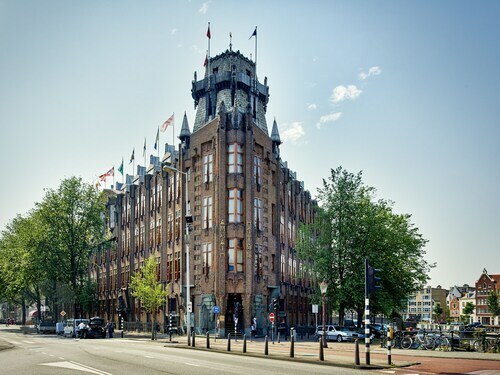 This hotel, built in 1912, is located in the monumental Scheepvaarthuis and adjacent to the harbour. Nieuwmarkt Square and the Public Library are nearby and Central Station is 500 meters away. This family-friendly Amsterdam hotel is located in the historical district, within a 5-minute walk of Waterlooplein Flea Market and Rembrandt House Museum. Rembrandt Square and Madame Tussauds are also within 15 minutes. Nieuwmarkt Station is 5 minutes by foot and Waterlooplein Station is 6 minutes. Located in Amsterdam City Centre, this luxury hotel is within a 5-minute walk of The 9 Streets, Anne Frank House, and Herengracht Canal. Madame Tussauds and Royal Palace are also within 10 minutes. Nieuwmarkt Station is 17 minutes by foot and Amsterdam Central Station is 18 minutes. Rooted in the art of Japanese service, Hotel Okura offers peaceful luxury in Amsterdam, just 15 minutes from Schiphol International Airport. 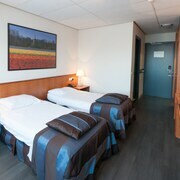 Spacious rooms and suites gaze over the Amsterdam skyline city views. 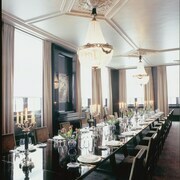 The hotel offers 4 restaurants, with three Michelin stars held between them. Onsite Nagomi Spa & Health, with gym, swimming pool, and treatment rooms, is a serene haven for true relaxation amidst city life. In Amsterdam, you’ll definitely need to know one word: gracht. It means “canal”, and with over 160 of them, they’re very important for navigating the city. Of course, a few other words might come in handy, especially if you want to make like Kermit and feel a little green…but we’ll leave discovering such high-end vocab to you. Back to those canals: “The Venice of the North” has more water within its city limits than its southern cousin; its name even means “Dam in a Watery Area” (not very catchy, we admit). Book one of the top hotels in Amsterdam and your exploration of this unique and charismatic city is off to an auspicious start. One major draw in Amsterdam is its museums, and with accommodation near the Museum Quarter, you’ll have your very own time machine. At the Rijksmuseum, see art from the Middle Ages to the present day, including paintings by Rembrandt and Vermeer; plus, you’re sure to give a “ship” about the historical objects, like the sternpiece of the HMS Royal Charles, a 17th-century English warship. Next, you’ll be all ears at the Van Gogh Museum (get it? ), one of the most popular in the world, and you can return to the present day at the Stedelijk Museum of Contemporary Art. Brighten up your day with a visit to the Amsterdam Tulip Museum, or stop by a cafe for a little pick-me-up before heading back to your Amsterdam accommodation. Flights to Amsterdam will land at Airport Schiphol (AMS), the Netherlands’ main international airport. You can hook up with the train directly under the airport for travel to Amsterdam Centraal station in the city centre, or you can take one of the many bus lines to your destination. Once you’ve made it to accommodation in Amsterdam, the city’s excellent public transport—and compact size—make it easy to get around without car hire. There are also tons of bike paths, so you can ditch the motor altogether and see the sights like a local. Amsterdam is always ablaze with fun times and chill vibes, but some days of the year are more alive with celebration than others. Take the Grachtenfestival (Canal Festival), for example. For three days in August, Amsterdam canals fill with locals in their boats, and live music fills the air. The big event is the Prinsengracht Concert, which—in addition to being free—takes place on a pontoon in front of the posh Pulitzer Hotel. Hey, who said life vests and sequins don’t mix? Not us. Come September, shutterbugs from around the world will put your Instagram feed to shame. The last weekend of the month brings the Unseen Photo Fair, when about 50 art galleries submit pieces from new and experienced photographers alike. Of course, you will actually see their work, so the name is a bit silly. If you’re willing to shell out a few euros, you can even bring a piece home with you. Parties, film screens and other festivities also mark the photo fair. If you’re aiming to see as much as you can during Amsterdam holidays, just take advantage of the 24H events. Five times throughout the year, including the end of September and October, some of the best spots in Amsterdam open their doors for less and offer stellar deals. Stores, clubs, museums and more invite you stop by and learn more. 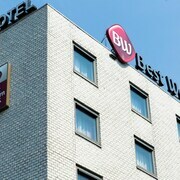 Places to stay in Amsterdam fill up quickly around events, so book your hotels with Wotif early. In Amsterdam, cycling isn’t just a means of transportation—it’s practically a lifestyle! And, well, when in Rome, right? Rent a bike and spend a morning biking throughout the city. Over bridges, beside canals and to Rembrandt House you go! Not feeling sporty? We wouldn’t begrudge you putting away your wheels for an hour and taking a relaxing cruise on the canal with a tour guide. Rain or shine, the floating flower market in Amsterdam is open for business. Also called the Bloemenmarkt, you’ll find everything from colourful tulip stems to stunning exotic blooms up for sale. Wondering where Holland’s capital city is storing its best green? No, not that kind of grass. We’re talking about Vondelpark, the largest park in the entire city that spans across 47 hectares. Have but one day in Amsterdam? While we can’t promise you won’t forget to leave because you’re having too much fun, we can help you narrow down the bounty of experiences into a manageable itinerary. Get an I Amsterdam City Card, and you can save big at some of the city’s best attractions. We recommend you begin your short tour of the city at Screaming Beans, one of the city’s major coffee companies. Consider a double shot of espresso, even. Live a little. Freshly fuelled, go shopping at The Nine Streets, a busy epicentre for retail therapy. You’ll find lots of independent boutiques here, so you can bring home a truly unique purchase. After a bit of respite at your hotel or lunch along a canal, don’t hide from the Anne Frank House and Museum, the safe house where she wrote her famous diary. Take a tour of the Secret Annex, then visit the museum to see the diary, plus original drawings and photographs. If you need to lift your spirits, imbibe a few. You’ll say “Only in Amsterdam” when you see the award-winning Brouwerij ‘Tij brewery. Why is that? Well, it’s just beneath the de Gooyer windmill, of course. The perfect place for a Dutch microbrewery. While you can stay fed by chowing down on the street grub available in FEBO automatiek vending machines throughout the city, we say you should treat yourself to some of the best food in Amsterdam. Eggs benedict, juicy hamburgers and cheese from De Kaaskamer van Amsterdam are just the beginning. Of course, we would be remiss to suggest you end your day without stopping by De Wallen (the Red Light District). If only for a peep. 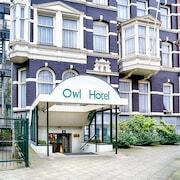 If you’re ready to learn fun words like apetrots and stroopwafel, check out Wotif’s selection of Amsterdam hotels and book today. You’ll be really proud (apetrots) when you find caramel-filled waffles (stroopwafel) with no problems. How Much is a Hotel Room in Amsterdam? 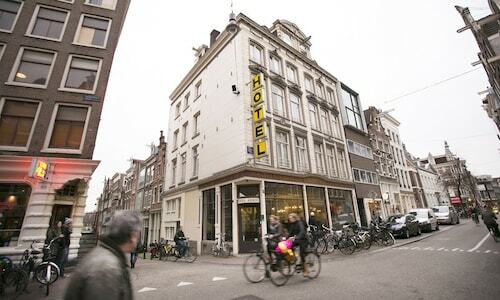 Hotels in Amsterdam start at AU$95 per night. Prices and availability subject to change. Additional terms may apply. 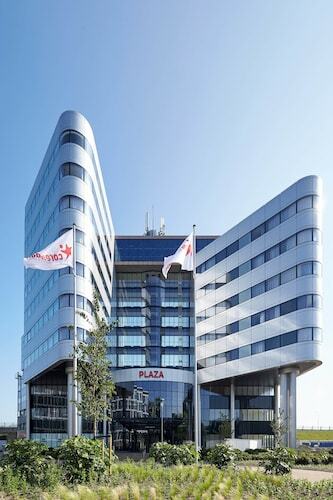 Right in the middle of the city centre, close to many restaurants, shops and red light district. Our room was a little on the small side, perfect if you’re staying short term, and not carrying large luggage. We found ourselves having to move our luggage each time we wanted to use the bathroom. Floor boards creak when moving around the room, and guests outside and above can be heard. Would recommend for a quick weekend away, where you really only need a bed. Was happily surprised to find our room made up on the second day, and room was clean and tidy. Very comfortable bed and very quiet room. A minimum of fifty characters means I will also write some meaningless stuff like this line. The position of the hotel was fantastic. It was only two train stops from central Amsterdam. There were some wonderful facilities in the shopping centre at the entrance of the hotel. The price was terrific and the simplicity of the room was expected, perhaps a little bar fridge might have been the only thing that could’ve added to my stay but otherwise I would definitely stay there again.